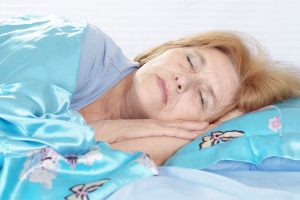 What Can Happen if Your Senior Isn't Getting Enough Sleep? What Can Happen if Your Senior Isn’t Getting Enough Sleep? Homecare Millington TN – What Can Happen if Your Senior Isn’t Getting Enough Sleep? Getting plenty of sleep is far more important than you or your elderly family member might realize. There are a variety of problems that can plague her if sleep isn’t coming as easily as it has in the past. Lack of sleep can leave your aging adult feeling low in spirits, which can lead to isolation. This all becomes a vicious cycle that can spin down into depression quickly. This might not start out as anything serious, but continuing to get too little sleep can keep the cycle going for an extremely long time. Having companionship in the form of homecare providers can help your aging adult reduce her risk of isolating herself too much. Beyond depression, your senior can experience other issues with her mood, becoming irritable when she might not otherwise have responded that way. Moods are complex, because they involve not only psychological and emotional reactions, but also internal chemical reactions based on foods and even lack of sleep. For example, exercise helps to release endorphins, which help to boost mood. Getting too little sleep makes your senior’s brain a little more sluggish than it might otherwise be. this means that when she’s trying to recall facts or remember what she was about to do, that information is so much more difficult for her brain to retrieve. This can look like memory loss associated with dementia, even if it isn’t. While your senior’s brain doesn’t work as well when she’s overly tired, the same can also be said for her body. She may be much clumsier than she is when she’s had plenty of sleep. This is dangerous because she’s at a greater risk of falling or injuring herself in other ways. As with the mental effects of lack of sleep, this can be mistaken for other problems when getting enough sleep can correct the problem. If you’re not certain whether you’re witnessing signs of sleep issues or a bigger problem, always talk to your elderly family member’s doctor. Additional tests can help to distinguish between the two. For Homecare Services in Millington TN, please contact the caring staff at Personal Care Services MidSouth today! This entry was posted in Homecare Millington TN, Personal Care Tips and tagged Homecare Millington TN. Bookmark the permalink.